Lord Ganesha is the son of Lord Shiva and Goddess Parvati and is a much-favoured God for Hindus who is considered to be a remover of obstacles, according to Hindu mythology. 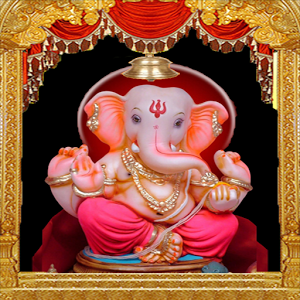 Ganesh Chaturthi (Ganeshotsav), the festival of celebrating Birthday of Lord Ganesha. This festival is celebrated on the fourth day in the month of Bhadrapada in the Hindu calendar and this year began on Friday 25-August-2017 and will end on Tuesday 5-September-2017. So if you want to send Happy Ganesh Chaturthi wishes to your friends and relatives then choose from below and send them. => May Lord Ganesha bless you with worldly bounties and keep you and your family protected from obstacles at all times! => Hoping that this ‘Ganesh Chaturthi’ will be the start of a year that brings the happiness that lord Ganesh fills your home with prosperity & fortune. => I wish u Happy Ganesh Chaturthi and I pray to God for your prosperous life. May you find all the delights of life, May your all dreams come true. => Wishing you lots of happiness and Lord Ganesha's blessings on the auspicious occasion of Ganesh Chaturthi. Enjoy the festival. Friends I have tried to my best to share Happy Ganesh Chaturthi Wishes, SMS, Messages and Quotes for WhatsApp & Facebook. Hope you will like it.